Opening times: Mon – Sat, 10am-4pm. 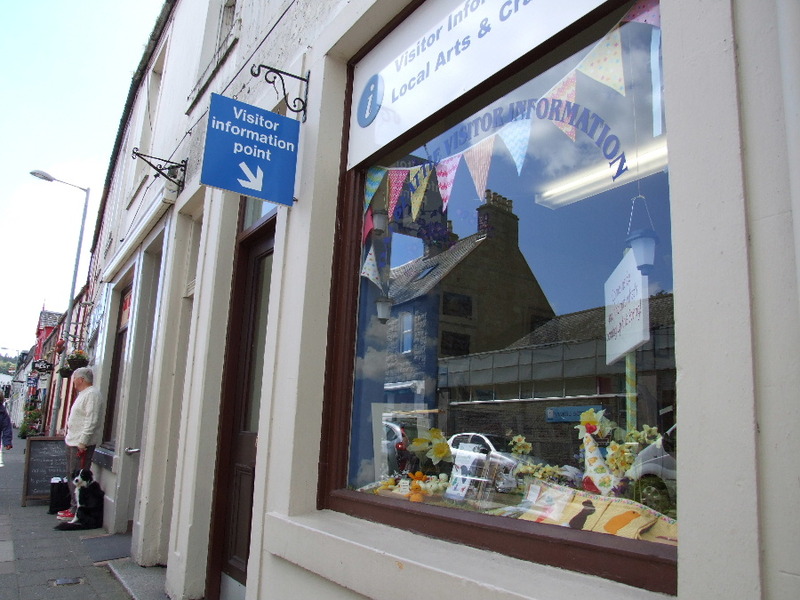 The Visitor Information and Craft Centre is an initiative of Dalbeattie Community Initiative. Based at 24 High Street, we are open from April - December and have a range of visitor information and leaflets for the local area, plus paintings and crafts made by local artists and crafters. Dalbeattie Visitor Information Point provides information and inspiring things to see and do in Dalbeattie and the surrounding area. It also provides information about buses, local events, and activities, cycle trails and walking routes. When the VIP closes at the end of the season, information will still be available during office opening hours at Dalbeattie Community Initiative. We sell arts and craft products produced by local people, ceramic animals, teddy bears, woodwork, knitting, cards, pictures and jewellery which all make great gifts or souveniers for family and friends. In 2007 a group of local volunteers felt that the town needed a place for information for our many tourists and set up their own information point within Dalbeattie Community Initiative office and staffed it with volunteers. With the increasing volume of visitors to the town, Dalbeattie Community Initiative office could no longer accommodate the Visitor Information Centre as well as conducting its normal work, so in 2010 the new Visitor Information Point opened in the little shop opposite the Library. As with the initial venture, this too is proving to be a huge success with over 6000 visitors in 2014 and over 5000 during 2013. More volunteers are always welcome to help at the Visitor Information Centre, so if you have some knowledge of Dalbeattie and the surrounding area and enjoy working directly with the public, maybe you would like to volunteer to help this year or even next year. If so, drop in to the VIP or to Dalbeattie Initiative Office for further information.